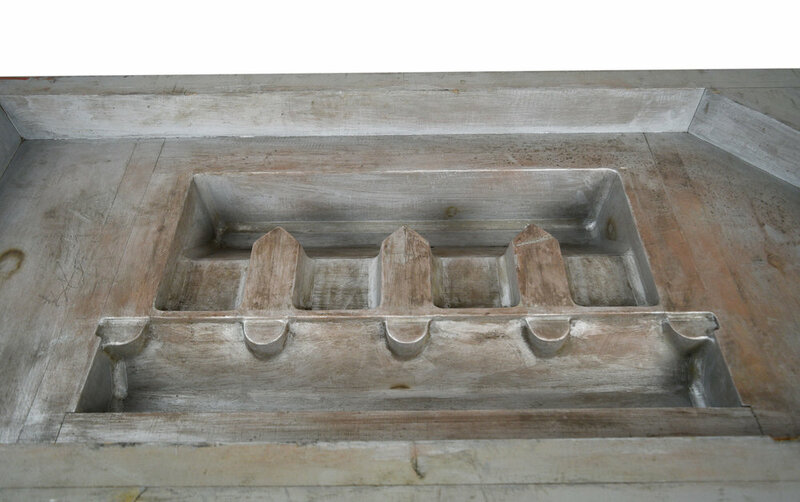 This antique foundry mold from the Machine Age is a reminder of the nation’s industrial past, a large factor in shaping the culture of the Modern era in America. 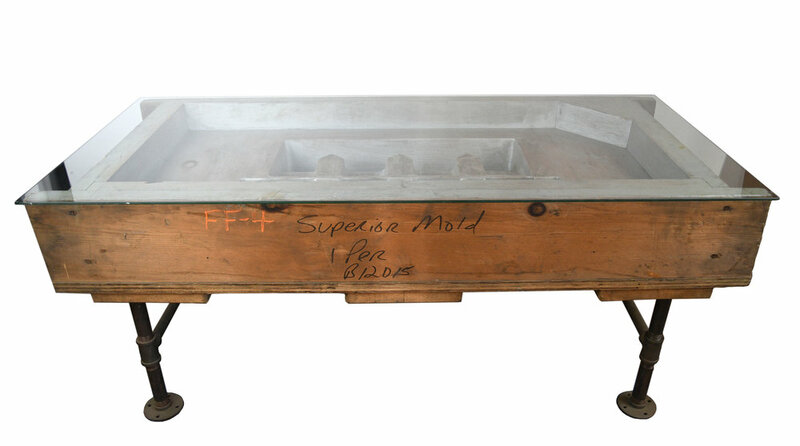 While this piece would not have traditionally been found in a residence, this foundry mold has been turned into a coffee table for daily use! 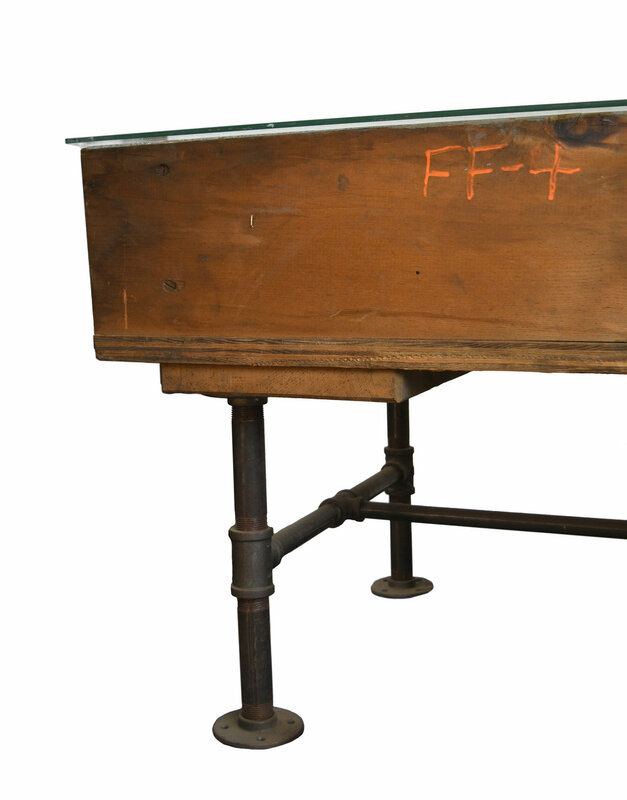 Metal pipe legs and a piece of glass on top create this truly unique coffee table. 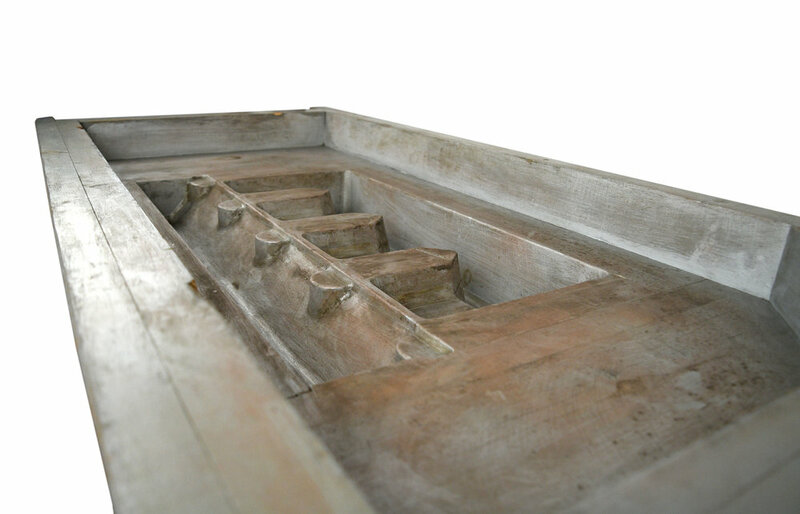 Legs can also be easily removed to create a standalone art decoration! Be sure to include the Product ID AA#44342 when making your offer.